Comcast will be looking network proposals for content, financed, ownership/management, price, launch, and ability to create customers. PHILADELPHIA--(BUSINESS WIRE)--Comcast Cable today announced the company is now accepting proposals for two substantially Hispanic American owned, independent English-language networks that it will launch in select Comcast markets by January 28, 2017. Today’s announcement is part of the company’s commitment to launch 10 independently owned and operated networks as part of a series of public interest commitments made by Comcast in connection with the NBCUniversal transaction completed in 2011. Of the 10 networks, all of which are to launch by 2019, four will be majority African American owned, two will be operated by Hispanic American programmers, two will be substantially Hispanic American owned, and two will be independent. These criteria were established based on several agreements Comcast entered into with leading diversity organizations in 2010. 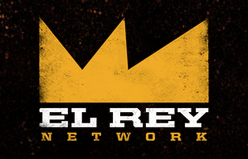 Since then, five independent networks have already successfully launched, including ASPiRE, BabyFirst Americas, BBC World News, El Rey, and REVOLT. “We are committed to delivering programming that reflects the interests of our customers and are eager to review many innovative network proposals with the potential to bring new and exciting content to our customers,” said Greg Rigdon, Executive Vice President, Content Acquisition for Comcast Cable. Criteria for selecting the next two substantially Hispanic American owned networks that Comcast will launch include: the content of the network; whether the network is fully financed; whether the network’s ownership and/or management group(s) are well established, have relevant experience, and are substantially owned by Hispanic Americans; whether the network is already launched and has existing MVPD distribution; price; and whether the network and its potential carriage provide value to Comcast and its customers. Comcast will accept proposals for every major genre, including general entertainment, movies, music, kids, news, and sports. Applicants may visit http://corporate.comcast.com/diverseprogramming to submit a proposal and learn about the terms and conditions. Proposals are due by October 9, 2015, and the two networks will be selected in the coming months.